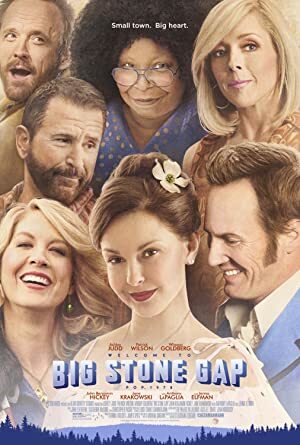 Big Stone Gap (2014) – What's New on Netflix Canada Today! Nestled in the Appalachian Mountains of Virginia, the tiny town of Big Stone Gap is home to some of the most charming eccentrics in the state. Ave Maria Mulligan is the town’s self-proclaimed spinster, a thirty-five year old pharmacist with a “mountain girl’s body and a flat behind.” She lives an amiable life with good friends and lots of hobbies until the fateful day in 1978 when she suddenly discovers that she’s not who she always thought she was. Before she can blink, Ave’s fielding marriage proposals, fighting off greedy family members, organizing a celebration for visiting celebrities, and planning the trip of a lifetime-a trip that could change her view of the world and her own place in it forever.